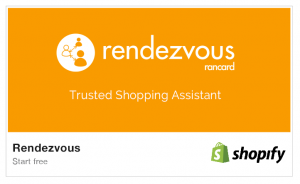 Rendezvous delivers serendipitous trusted recommendations through conversational AI. The Rendezvous experience is powered by “social molecules” (patent application pending) built on the neo4J graph database and delivered with the R2 AI NLP Project. With an extensive index of merchandize, places and services from our affiliate and content partners, users can get trusted recommendations with Rendezvous in almost any genre – fashion, electronics, restaurants, professional services, and more. Free start for shops on Shopify. Contact r2mp-enterprise-platforms@rancard.com for your customized offering.